Fine wine and fresh ingredients pair together at Balaban's, where culinary creations are inspired by the past but updated to the present. Balaban’s is much more than beef Wellington and cucumber bisque, although those old favorites are very much a part of this Chesterfield restaurant with roots in the Central West End. Phillips is a classically trained chef originally hired to head Balaban’s catering effort, which is a big part of its business, offsite and onsite, with a private room that can seat 80 or hold 120 for cocktail parties. “Catering is definitely something we love to do, and we do a great job,” he says. 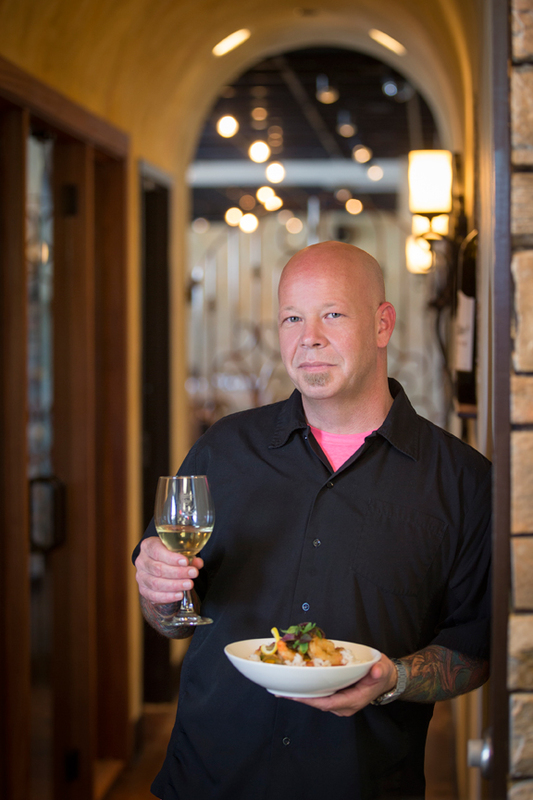 A year after joining the Balaban’s team, Phillips was named executive chef. The restaurant serves lunch and dinner Monday through Saturday, sourcing locally grown foods as much as possible. The menu is wide-ranging, with up-to-the minute dishes such as kale salad with candied walnuts accompanying classics such as crabmeat-topped filet Oscar. For Sunday brunch, Phillips offers everything from comfort food – think meatloaf, lasagna or fried chicken – to hand-carved beef tenderloin to made-to-order eggs benedict. Wine is another focus. Diners can select a bottle from Balaban’s retail shop and pay an $8 corkage fee. (Wines by the glass also are available.) Some diners pick a bottle and match it to their meal, while others decide on the food first. “It’s a fun little setup,” Phillips says. “And the wine knowledge around here is unbelievable. 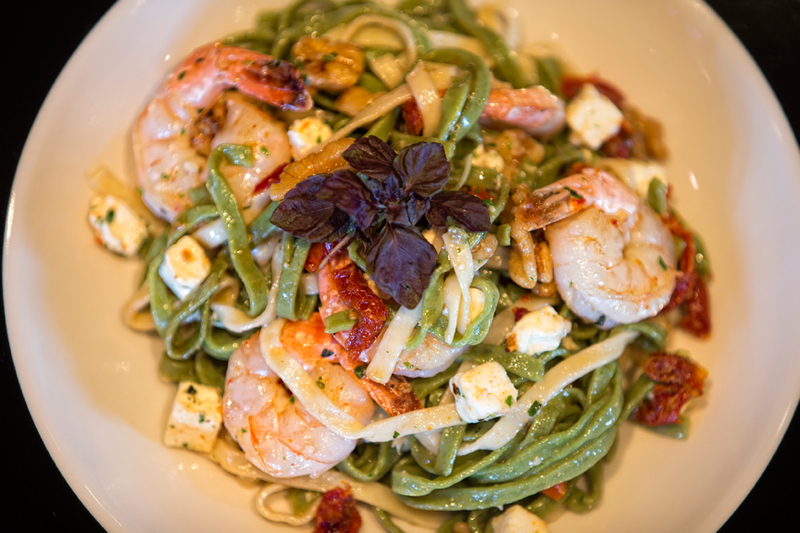 Pasta Ligurian: This longtime favorite was on the menu at Café Balaban. Phillips sautés shrimp and walnuts in olive oil, then tosses in sun-dried tomatoes, fresh pasta and red pepper flakes. “We throw cubes of feta cheese in at the end. The corners soften and round up a bit,” he says. 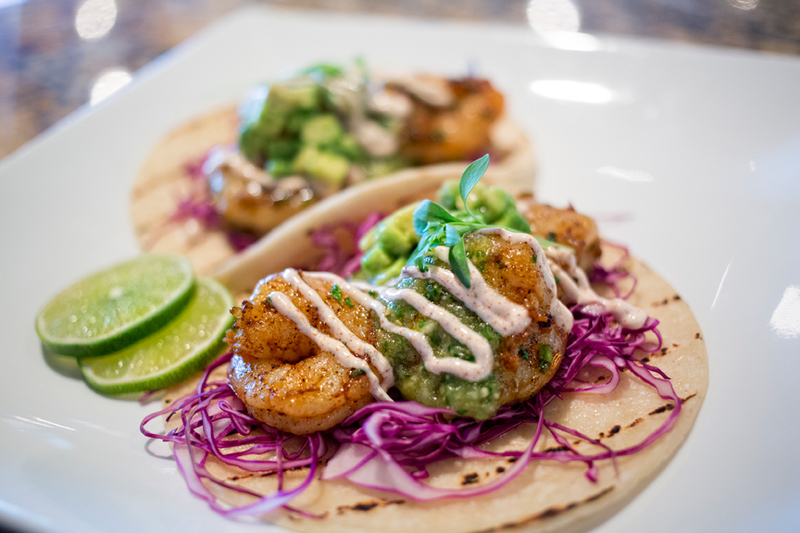 Shrimp Tacos: Phillips coats shrimp with olive oil and blackening seasoning and tosses them into a hot, dry skillet. 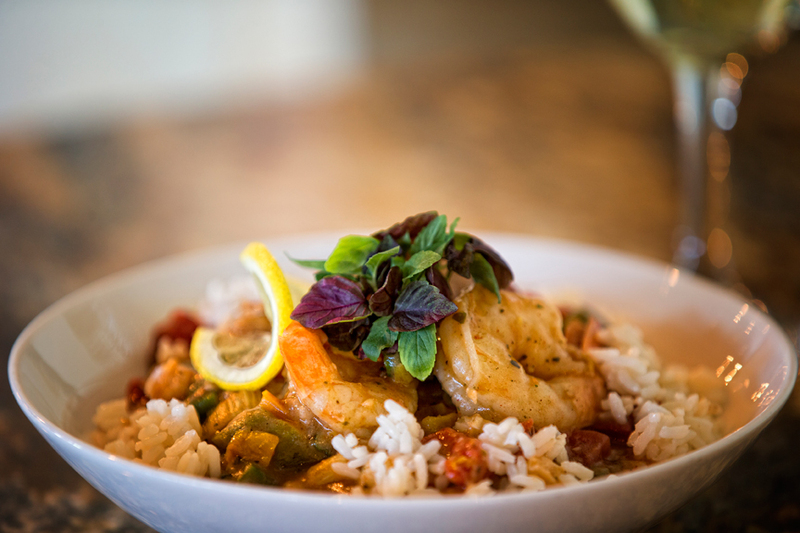 He arranges the shrimp on grilled white corn tortillas, then drizzles the top with lime and three-pepper crème fraîche.